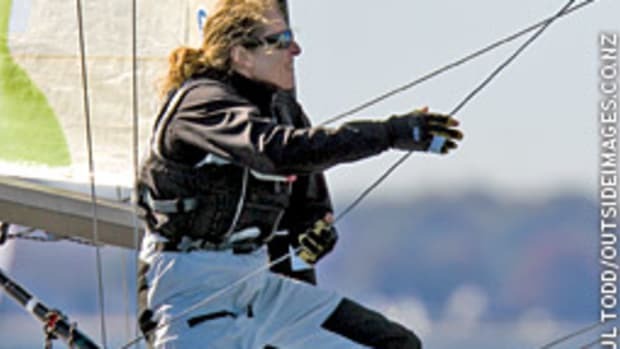 Italy’s Giulia Conti won the 2008 Rolex Osprey Cup — one of only two ISAF Grade 1 women’s match racing events in the U.S. — held Oct. 22-25 at the St. Petersburg Yacht Club in Florida. Along with crew Alessandra Marenzi, Alessandra Angelini, Giovanna Micol, Conti defeated Debbie Capozzi of Bayport, N.Y., in the first-to-win-three final match format. 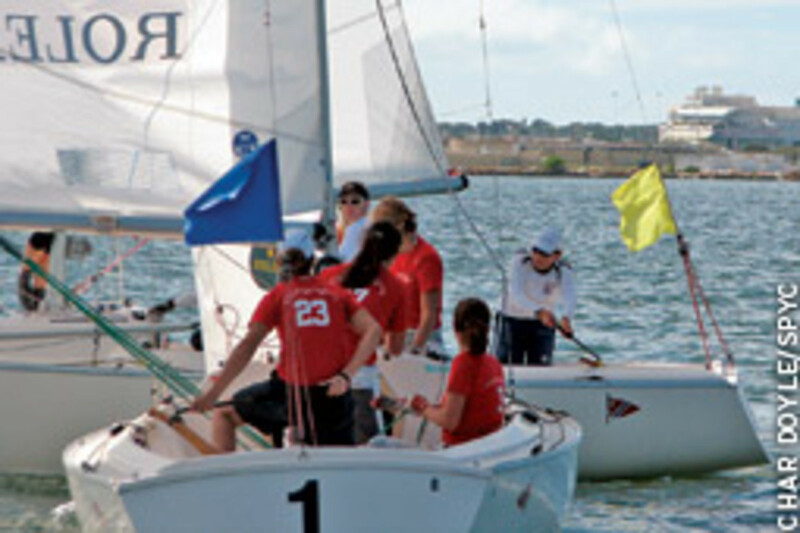 The regatta ran a total of 78 matches on Tampa Bay for the four-person teams sailing in Sonar class keelboats. Conti, the 2005 Rolex Osprey Cup champion and runner-up in 2007, did well in winning seven of her round robin matches, despite not actively match-racing. “I came here because I wanted to enjoy the environment, despite zero training,” Conti says. “So my expectations were far from the victory, but my heart and my mind were far from giving up. I have to confess also that inside me I was feeling that I needed a good performance after missing a medal in China in spite of my expectations there.” Conti and Micol paired up to represent Italy in the Olympic 470. In the semifinal round, Conti knocked out another prerace favorite No. 16-ranked Brit Lucy MacGregor, the 2008 European champion. In the other semifinal match, Capozzi defeated world No. 1 Claire Leroy of France, the current ISAF Women’s Match Racing world champion, to advance to the final round. 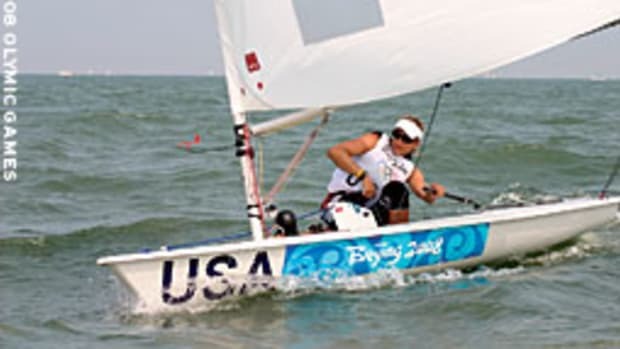 Capozzi also competed in the 2008 Olympics, representing the United States in the Yngling class. 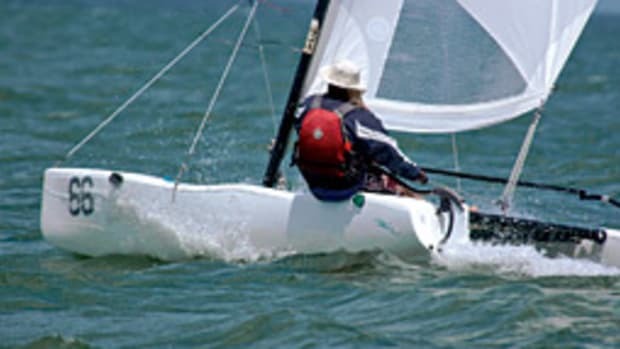 Leroy, the 2007 ISAF Rolex Sailor of the Year and currently on the shortlist for 2008, went on to defeat MacGregor, 3-1, in the petite final to decide third and fourth place. Rounding out the standings for U.S. sailors were Katy Lovell of New Orleans in sixth; JoAnn Fisher of Annapolis, Md., in eighth; Rachael Silverstein of St. Petersburg, Fla., in ninth; and Sandy Hayes of Scituate, Mass., in 10th place. The annual Intercollegiate Offshore Regatta breezed into New York’s Larchmont Yacht Club on Columbus Day weekend with an increase of participants from last year’s count of 235 college sailors to 318 and its borrowed-boat fleet from 31 to 36. The regatta has grown so much, with 29 different colleges and universities competing this year, that longtime host Larchmont Yacht Club officially joined forces with the event’s organizer, the Storm Trysail Club, to run what has become the largest college sailing regatta in the country. 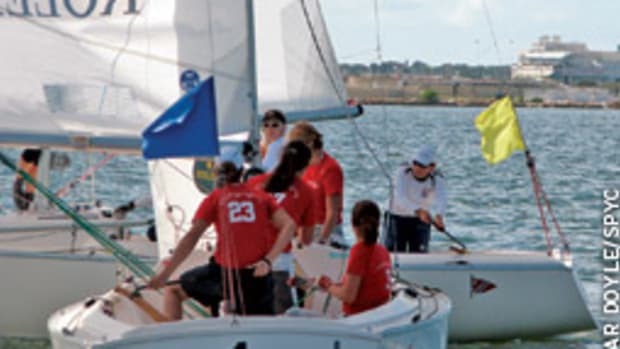 Owners of the borrowed boats acted as coaches of the collegiate crew, helping to introduce college sailors to the challenges and teamwork of big boat racing. Fielding was one of two Rhode Island team members who sailed the 2008 TransPac Race as part of Roy Disney’s Morning Light campaign, a documentary film of which was recently released in movie theaters. He and fellow Morning Light sailor Robbie Kane joined additional URI team members on Richard du Moulin’s Express 37, Lora Ann. 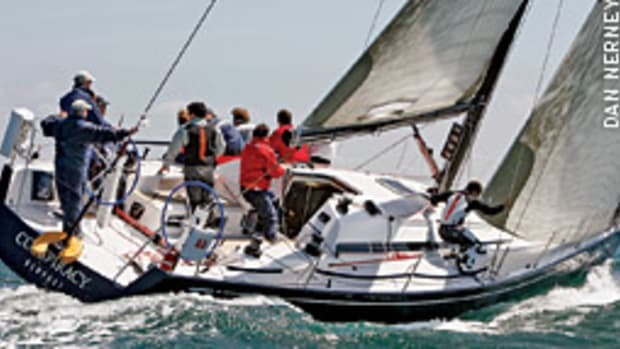 The boats were divided into four one-design classes and one PHRF division. 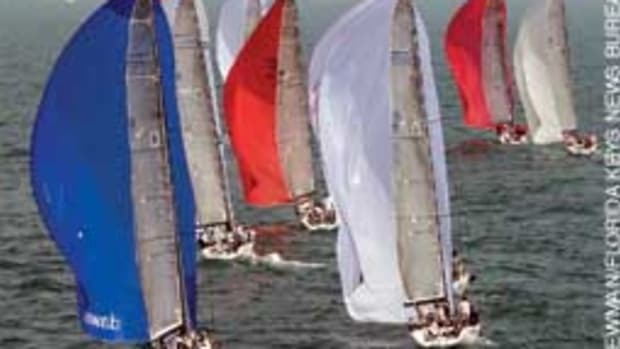 The largest division was the PHRF class that had 12 boats rating between 72 and 87, of which eight boats rated 72. The second-largest class was the 11-boat J/105 class. The five class winners were: The U.S. Coast Guard Academy in the J/44 class, Georgetown University in the J/122 class, Massachusetts Maritime in the J/109 class, University of Rhode Island in the PHRF class, and Cornell in the J/105 class. The overall winner (based on the best winning percentage) of the five-race regatta was Massachusetts Maritime Academy, sailing Rick Lyall’s J/109 Storm. 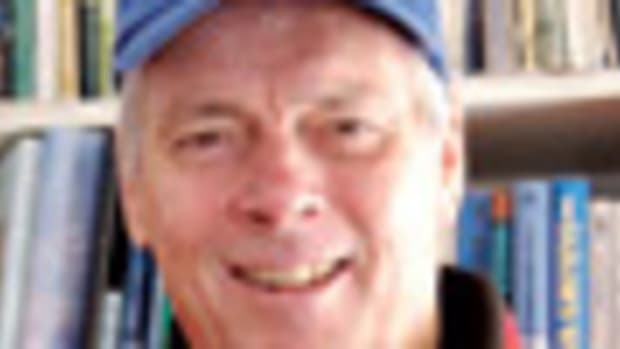 The school is the first winner of the Paul Hoffmann Trophy, a perpetual trophy that was donated this year by the family of Paul Hoffmann, Jr., in memory of Paul’s father, a past Commodore of the STC and a longtime member of the Larchmont Yacht Club. Puma Ocean Racing, skippered by Newport, R.I, sailor Ken Read, finished second in the first leg of the Volvo Ocean Race, after a tough 6,500 mile battle with leg winners Ericsson 4. Crossing the finish line in Cape Town, South Africa, at 17:44:55 GMT, earned them seven points for the leg and 13 in total to move them within one point of the overall race lead. 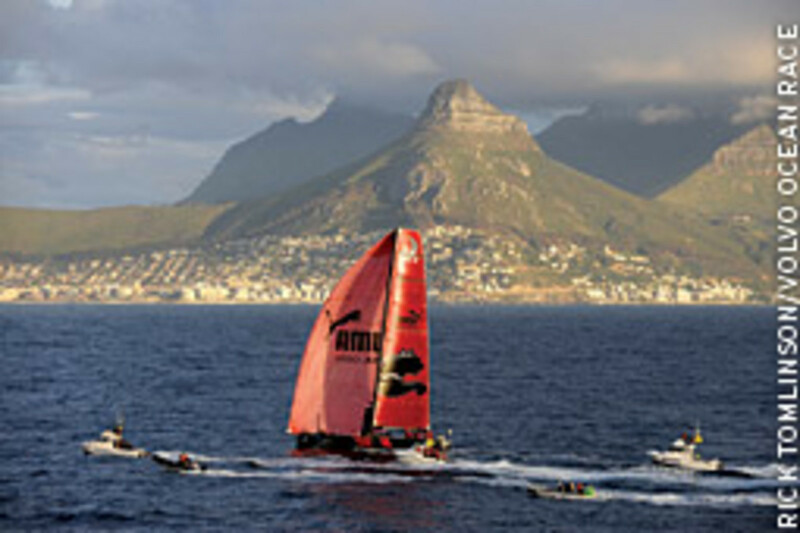 The Volvo Ocean Race 2008-09 will be the 10th running of this ocean marathon. Spanning some 37,000 nautical miles, the fleet will visit 11 ports in nine months, including Boston. www.volvooceanrace.org. This story originally appeared in the January 2009 issue.